Although everyone assumes headphones prevent hearing loss, did you know you can suffer hearing loss from headphones? 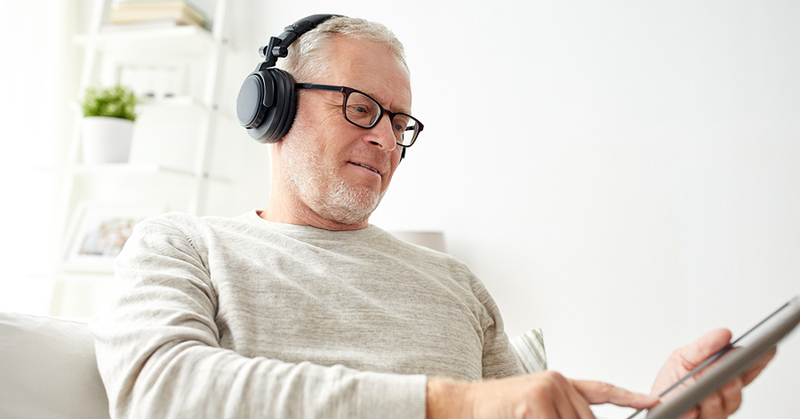 Most of our patients are surprised to learn there is a strong connection between hearing loss and wearing headphones. Let's dig a little deeper to understand how headphones can cause hearing loss. Can You Suffer Hearing Loss from Headphones? Listening to music or audio tapes with headphones and earbuds has been trending for years from the time it was introduced into the American culture. Not to mention, these gadgets can make you look really "hip" or cool. Kids, teenagers, young adults, and older folks are seen sporting headphones in all colors, sizes, and designs. However, there are concerns surrounding the safety of headphone use and their effect on ear health. Hearing loss has been linked to long-term use of headphones, particularly when these gadgets are consistently used in a manner that increases the risk of hearing loss, e.g., blasting music on high volumes. Hearing loss or impairment is described as a total or partial inability to hear sounds either temporarily or permanently. Hearing impairment is typically associated with aging and is more common in older adults. According to the Hearing Loss Association of America (HLAA), there is also noise-induced hearing loss (NIHL) or sensory hearing loss due to exposure to loud noise. NIHL can affect one ear or both ears and can be temporary or permanent. It can also affect individuals of all ages including children. How Does Wearing Headphones Lead to Hearing Loss? Repeated exposure to sounds above 85 decibels can cause hearing loss. The louder the sound, the less time it takes for NIHL to happen. The closer you are to the sound also determines the rate at which hearing loss will occur. Recreational activities such as listening to MP3 players, smartphones, or iPods at a high volume through headphones or earbuds places you at risk of NIHL. At the maximum volume, an MP3 player delivers 105 decibels. So the risk of NIHL increases with headphones pumping high-level sounds directly into the ear, especially on a long-term basis. However, even brief exposure to an intense “impulse” sound can lead to noise-induced hearing loss. According to the National Institute on Deafness and Other Communication Disorders (NIDCD), NIHL happens when the loud sounds damage sensitive parts such as tiny hair cells in the inner ear. Because sensory hearing loss is typically gradual, the damage may not be presently noticeable but you can still have trouble in the future hearing or understanding what others are saying. The hearing loss can become severe when combined with aging requiring you to wear hearing aids to help you hear properly and communicate more effectively. Repeated exposure to loud sound or music via your headphones or earbuds may result in hearing loss. This is the case whether you're blasting music in your ear to relax or to drown out surrounding noises or distractions. Turn the volume down on sounds and preserve your hearing for a lifetime! Remember that noise-induced hearing loss is usually gradual and may go unnoticed until the condition gets worse. Don't wait to get your hearing checked even if you're not experiencing signs of hearing loss. At North Shore Hearing, we offer free hearing screening and free hearing aids consultation. Call us today to set up an appointment.